When you’re at work you dream of being on holiday, when you’re on holiday you worry about the work that’s piling up. Living in the moment is easier said than done. We need to be told to be mindful like we need someone to tell us to lose a few pounds. We know. The issue for most of us is about seizing the moment and just doing it. Or not doing anything at all, as is the case in the practice of mindfulness. But what will stop us in our tracks so that we make time to take stock? 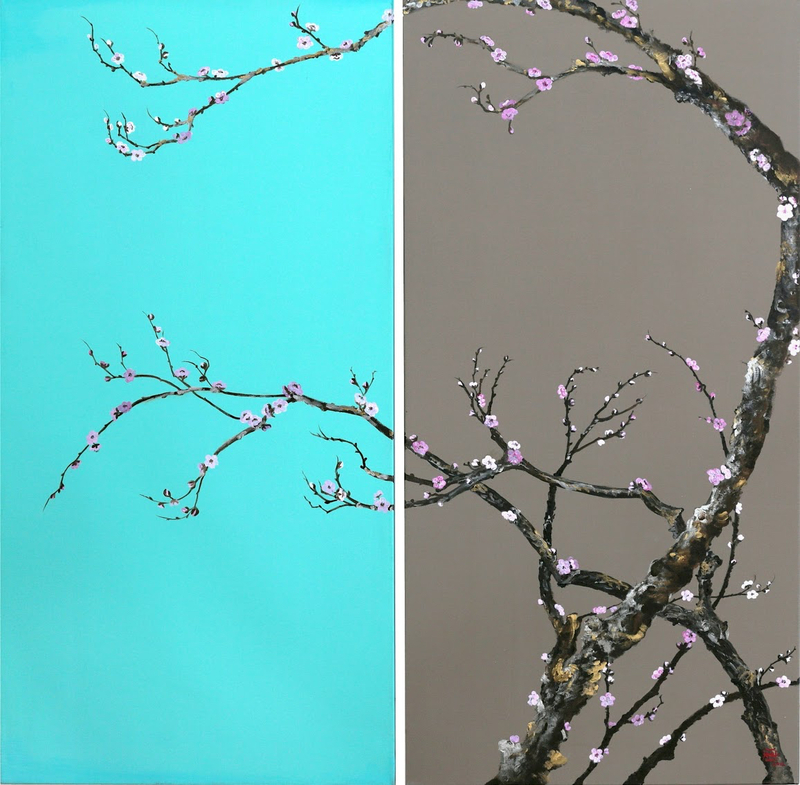 Meet an artist who is creating paintings that inspire us to stay still and reflect. “I’d already begun taking photos of my surroundings. Not just typical Japanese scenes, but close up shots of foliage and small details. I felt as if I’d arrived somewhere I was supposed to be. A feeling of ‘oh, I know’. That brings about a certain calm, a peace. I wanted to capture those moments and be able to recall them later on,” Nicole explains. So she set about doing what anyone that finds themselves on a journey might do: she found a guide, a master - her very own sensei. All the while that Nicole was treading this path, acquiring knowledge on how to perfectly render a moment in time over several years, she was learning how to be. “After a few years, I returned to our house in Provence. I had this urge to cut myself off from everything and everyone. I needed to find my own voice, my own style. I didn’t see anyone, I didn’t take calls, I didn’t watch television.” Like a butterfly, she emerged a couple of weeks later with a unique point of view and several paintings that formed the basis of her first exhibition. Her sensei, now 90 years old, was the first person to arrive to see the collection and gave her approval, not in so many words, but by purchasing a painting. 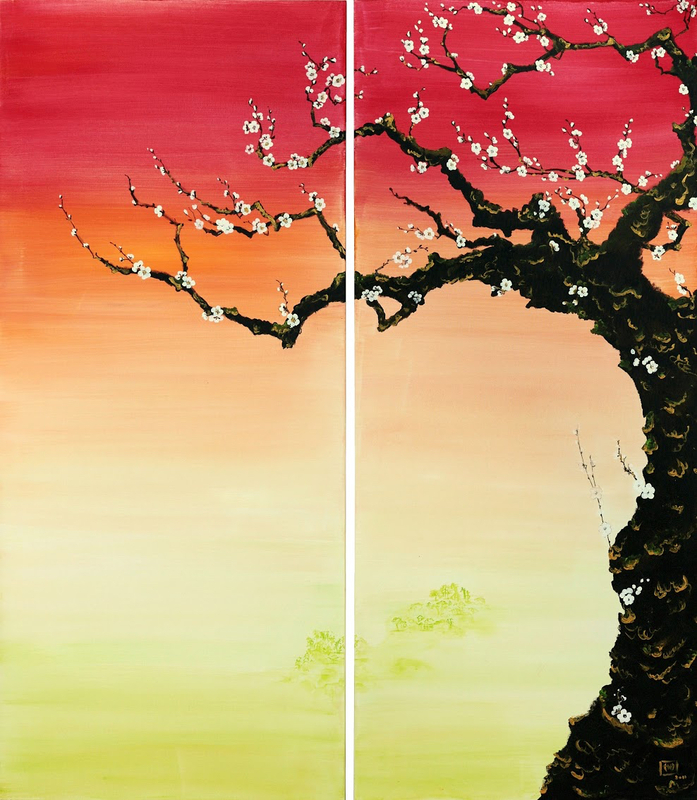 At play in Nicole’s work now is the stunning minimalism apparent in many Japanese art-forms. For all their love of detail, there is a very pared back nature to the way they treat a subject, allowing the viewer to rest and breathe. 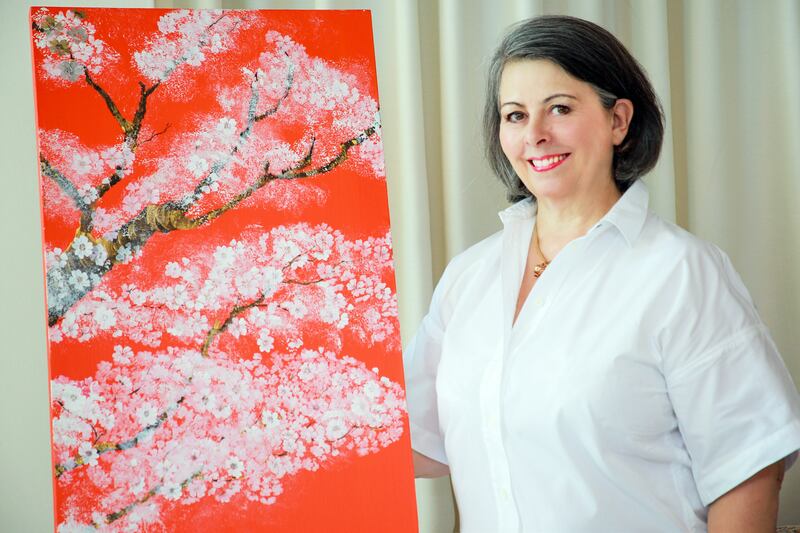 “As my audience grew, and I noticed people appreciating what I was creating I realised that depicting these moments meant something to other people too; that my paintings served to offer viewers some serenity,” she explains. To find out more about Nicole’s work, contact the friendly and informative peeps at Addicted Art Gallery.